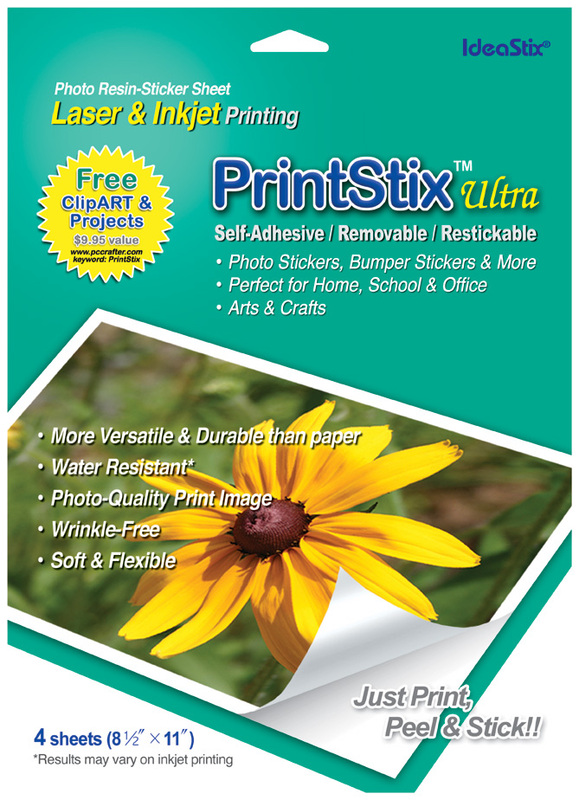 Printable peel-n-stick sheet that can be used in both Inkjet and Laser Printers! Biodegradable rubber-resin material gives unique feel and touch and can be applied to most smooth surfaces. It’s one of a kind in the world! 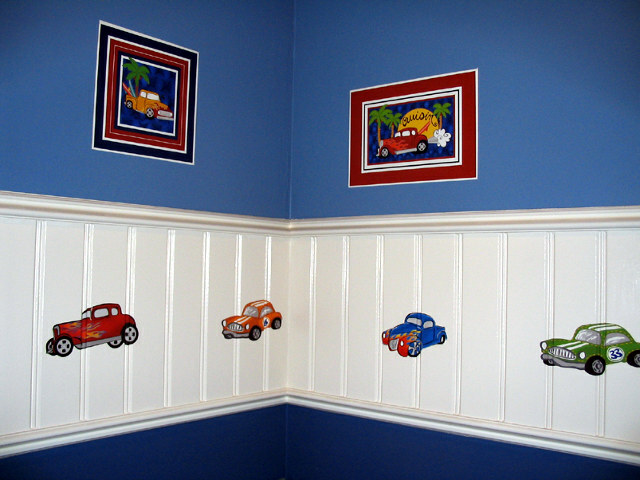 Lots of creative fun – a perfect tool for home, school and office! 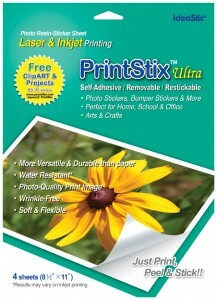 Use with most inkjet or laser printers for arts, craft & scrapbooking projects. Create your own tile stickers! Its versatility is only limited to your imagination! Photo-quality, sharp and vibrant color reproduction. Great for drawing with color pens & markers, etc. Wrinkle-less: Can stretch it to get wrinkles out if necessary. 8.5 x 11 comes in 4 or 20 sheet package.